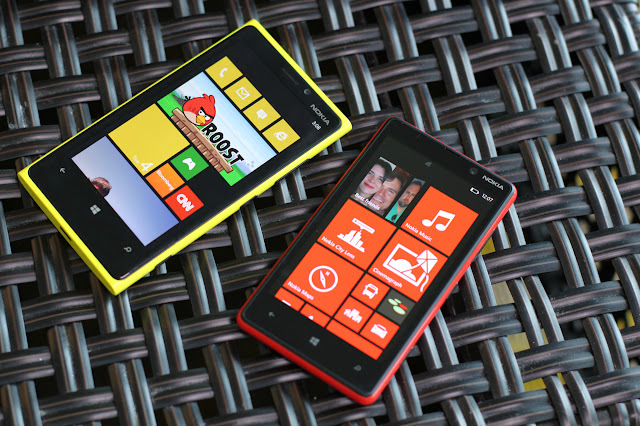 Nokia unveiled its first smartphones running Microsoft's Windows Phone 8 operating system: The Nokia Lumia 920 and Nokia Lumia 820. Nokia said the Lumia 920 has a 8.7 megapixels camera sensor and "PureMotion HD+ display technology, powering its generous 4.5-inch screen with the fastest, brightest, most-sensitive and highest resolution display ever seen in this market." Even with this display, Nokia said it can play videos for up to six hours thanks to its 2000mAh battery - the largest yet in a Nokia handset.